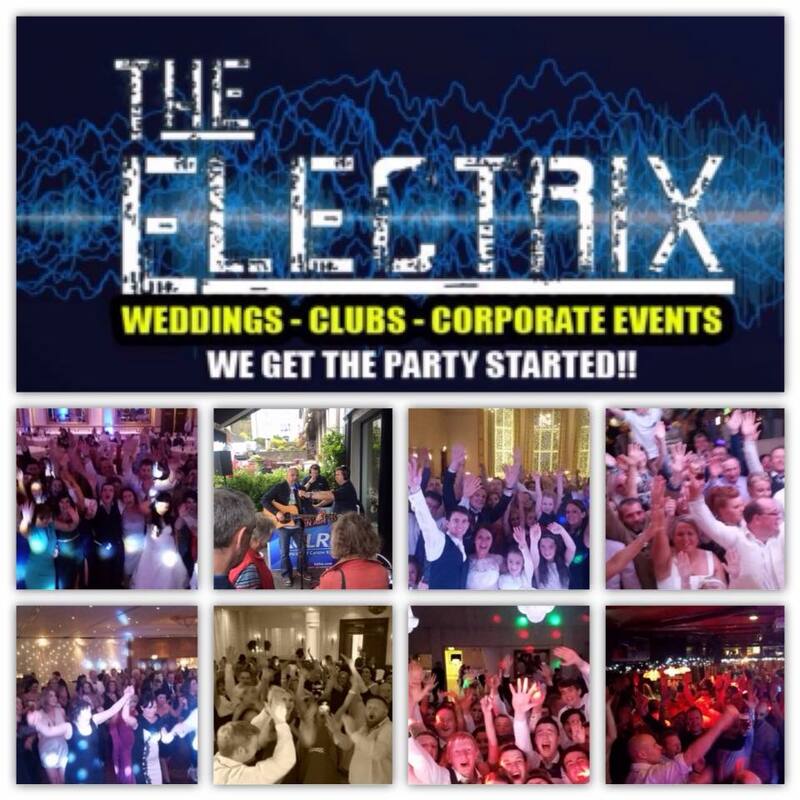 The Electrix are a band with a wealth of experience within the Irish music scene . Managed and fronted by Damian Carroll on Lead vocals and guitar he is joined on stage by Nicky Brennan on Lead Guitar/Vocals along with acclaimed musical director/composer Ross O' Connor on piano & keyboards. On drums & percussion is Nicky Keogh a graduate of The Royal College of Music in London. 5 Piece Wedding & Party Band. Band, DJ, Pre-Dinner and Ceremony packages available. country and 50’s/60’s rock ‘n’ roll to classic & modern chart hits. Check out the rest of our Dublin, Kildare, Kilkenny, Laois, Meath, Wicklow section for more listings - with photos, videos and news.